Sarah Brown comes out on top in <i>Cowgirls</i>. Photo Courtesy of RIDE TV. 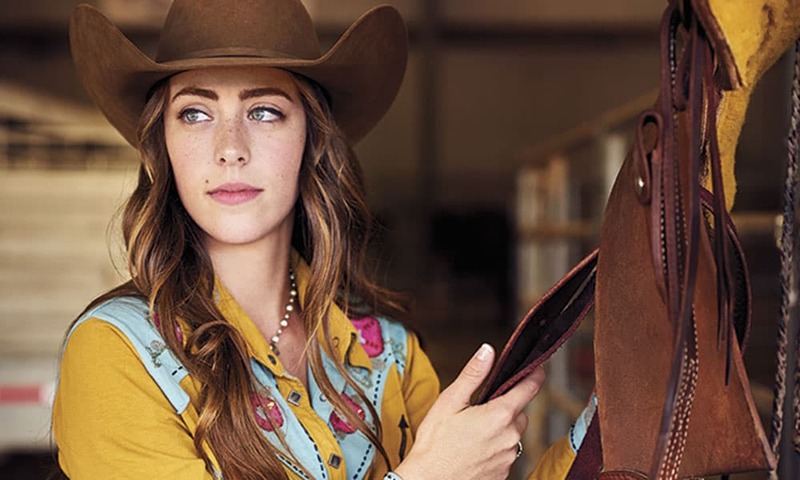 RIDE TV’s Cowgirls season two was filled with heart-stopping moments, complete with injuries, victories, and a striking camaraderie between the tough-as-nails ladies who star in the show. The second season of Cowgirls saw the cast competing in larger rodeos, such as the Jesse Andrus & Mike Hillman Memorial Pro Rodeo in Roswell, New Mexico, and at Cheyenne Frontier Days, which served as the season finale. Out of the ten cowgirls who got the ticket to compete in the Wild West Show in Cheyenne, two advanced, Duke Largo Wimberly and Alondra Castaneda, and had the opportunity to compete in the actual first performance of the Cheyenne Frontier Days Rodeo. Duke walked away, not only winning Cheyenne, but getting to be one of the first women in 90 years who had the honor to ride a bronc during the legendary rodeo. Once the dust settled in Cheyenne and the points were added up, real-deal cowgirl Sarah Brown was crowned the victor of the second season of Cowgirls. Sarah indeed has a champion mentality, and is wasting no time preparing for upcoming rodeos and says that she will continue to challenge herself by riding more broncs and refusing to hold back. To catch up on episodes of RIDE TV’S Cowgirls, subscribe to RIDE TV GO, the ultimate online streaming service. Cowgirl Magazine is proud to be the title sponsor of Cowgirls.